Engineering of onshore/offshore plants in petrochemical field. 3) SSBR Project (Solution Styrene Butadiene Rubber), Oswiecim, Poland: Guy-wired Flare system 40 m, riser diameter 24”. 4) SAUDI ELASTOMERS PROJECT CARBON BLACK PLANT, Jubail Industrial City, Kingdom of Saudi Arabia: Self-Supported Flare system 65 m, riser diameter 3300/2200/1069 mm. 5) AFP-SMART FPSO #1, Off-shore plant: Verification of a flare boom tip by Finite Element Analysis (FEA), manifold diameter 30”, lenght 4350 mm, No. 7 flare tips dia. 10”, No. 5 flare tips dia. 8”. 6) PETROKEMYA ABS PROJECT, 3D model of a skid for an Incinerator Package. 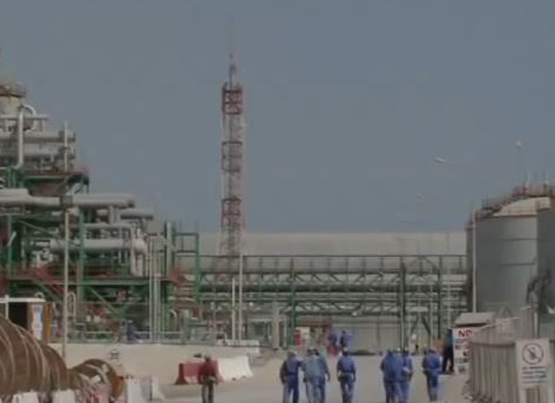 7) UPGRADING HOUT ONSHORE CRUDE FACILITIES, AL-KHAFJI, SAUDI ARABIA, VACUUM DEAERATION PACKAGE U-605.